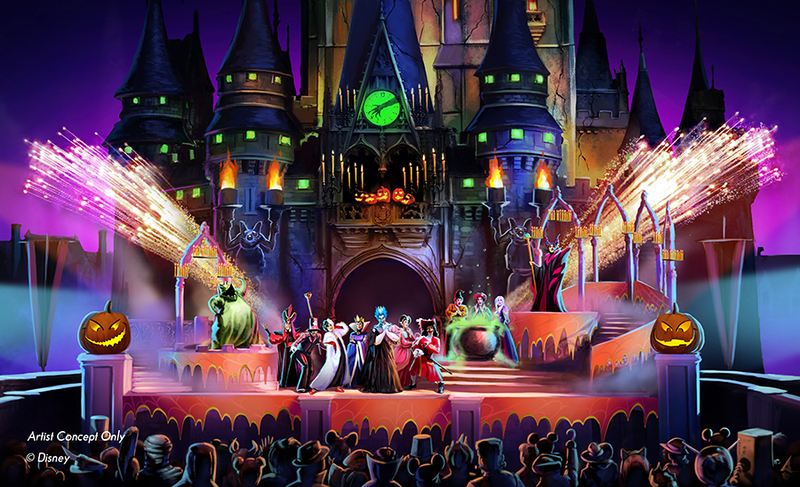 Disney choice to add the Sanderson sisters at the Halloween party was a fantastic idea but sadly one that seemed half realized to me. Watching the full show it seems Disney simply wedged them into last years Halloween stage show script. Instead they should of had a script that is more tailored to them. Here is an outline for my changes to the show.I purposely kept the show similar to the existing show instead of creating new show. I have a tendency to self referential humor and bad puns. This outline does not lay out the complete banter between the sisters; instead focusing on the major exchanges and plot points. Well now that we have so much evil in one place let’s leave our guests with a little present.